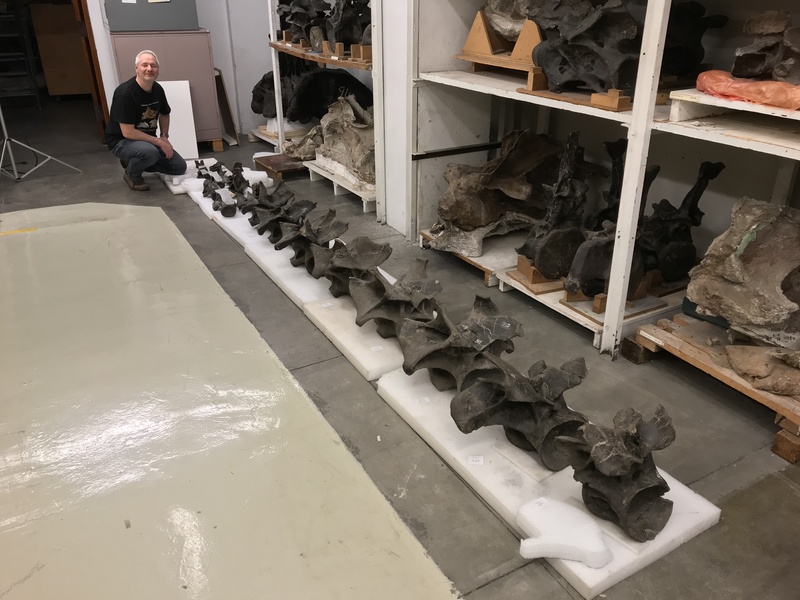 Having spent much of the last few days playing with the cervical vertebrae of a subadult apatosaur, and trying to make sense of those of the mounted adult, neck ontogeny is much on our minds. 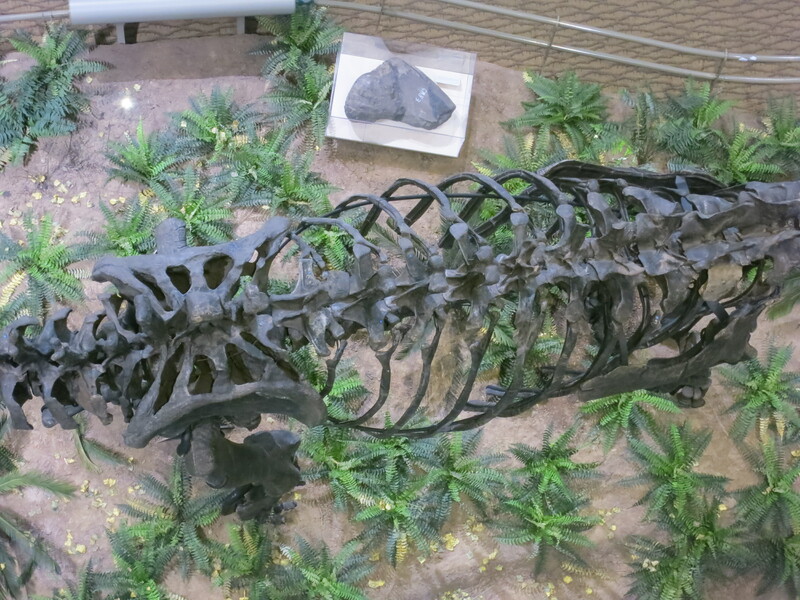 Here’s an example from the less charismatic half of Saurischia. 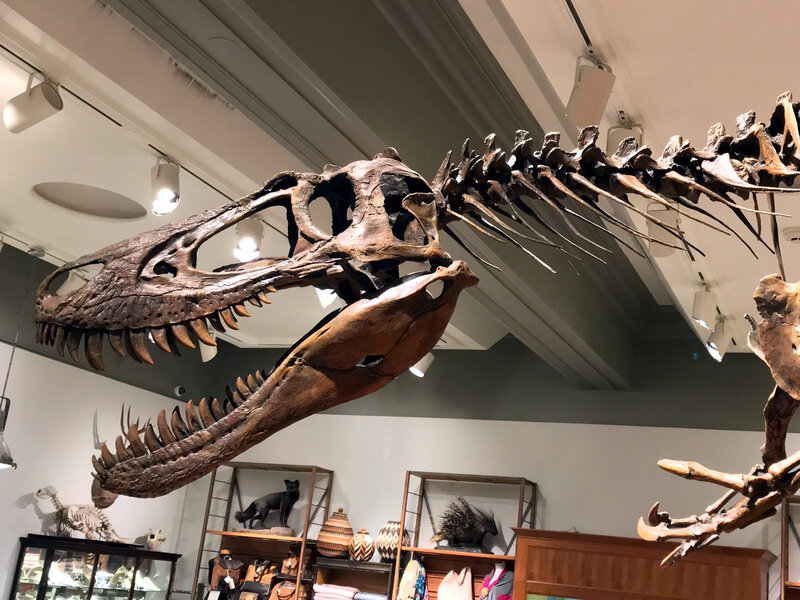 As you can see, the transformation of the neck is every bit as dramatic as that of the skull, as a slender animal optimised for pursuit grows into a total freakin’ monster. This is truly a magnificent museum. 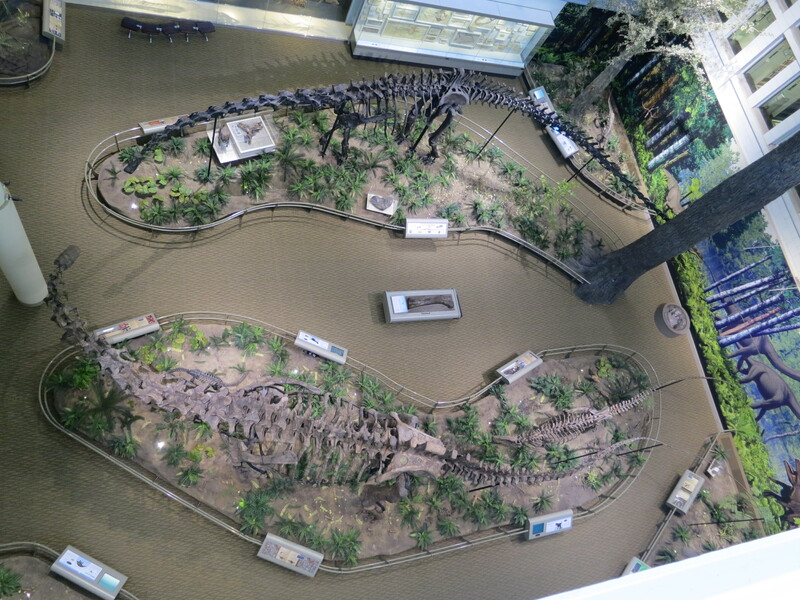 Mounted sauropods in dorsal view! Mike’s and Matt’s excellent adventure in Pittsburgh continues! 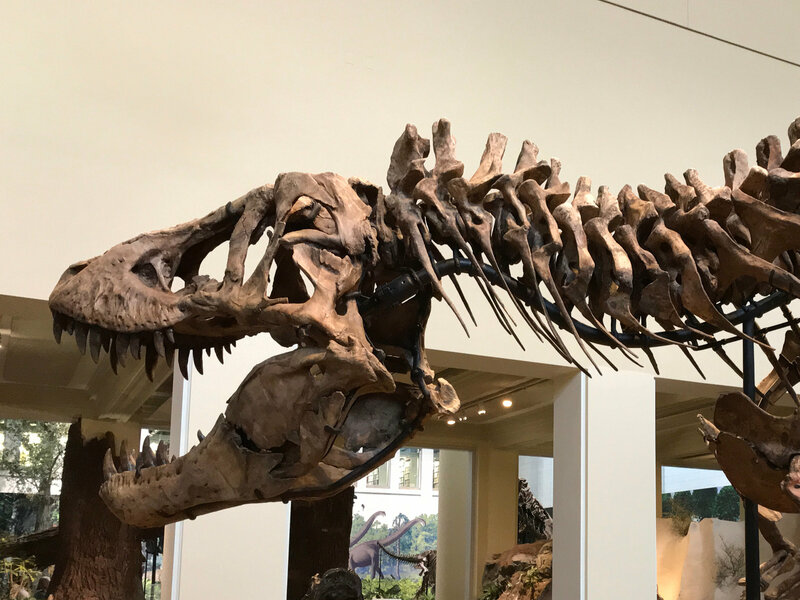 Today was Day 4, and just as yesterday offered us a unique opportunity to see the mounted Dipodocus and Apatosaurus skeletons up close on a lift, so today we got to look the two mounts from directly above! Diplodocus carnegii holotype CM 84, torso, in dorsal view, anterior to right. Apatosaurus louisae holotype CM 3018, torso, in dorsal view, anterior to left. 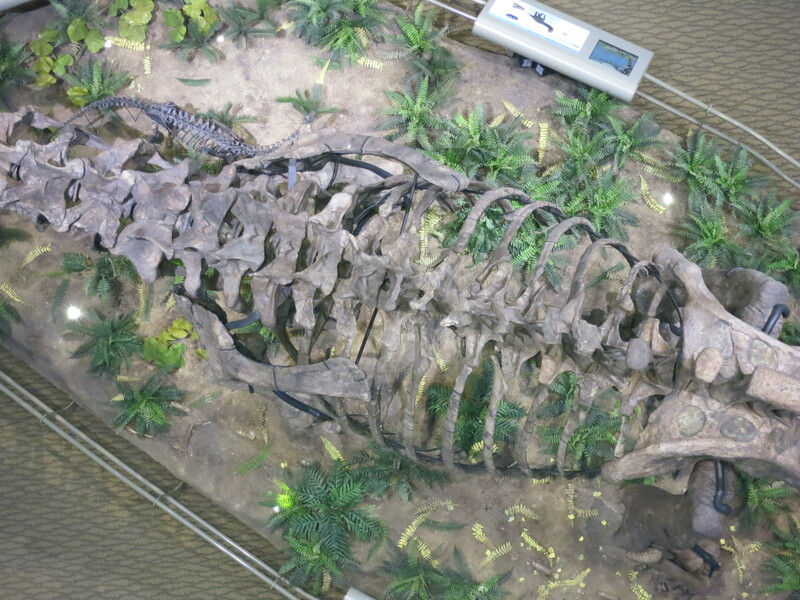 You can immediately see from here that Apatosaurus is a much broader animal than Diplodocus. That much, we could have guessed. 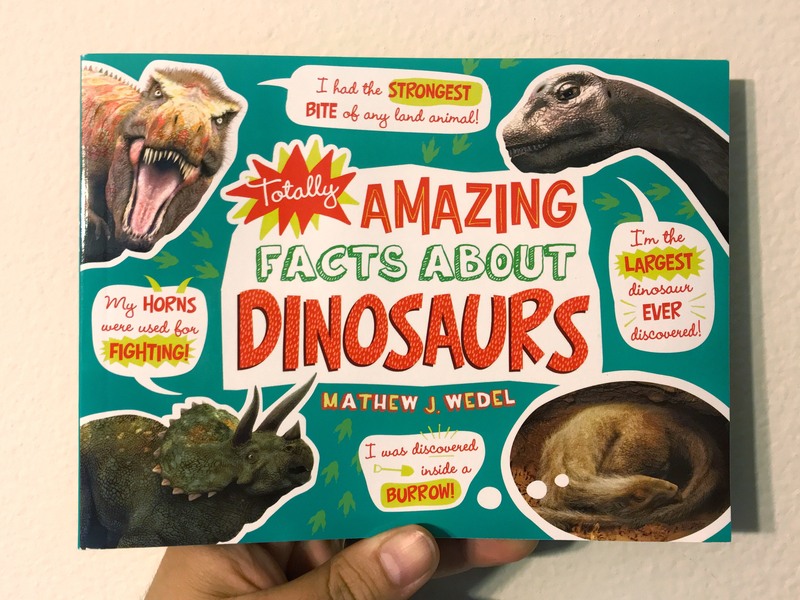 What’s more interesting is that Apatosaurus seems to be slightly broader at the shoulders than at the hips, whereas the opposite is the case in Diplodocus. 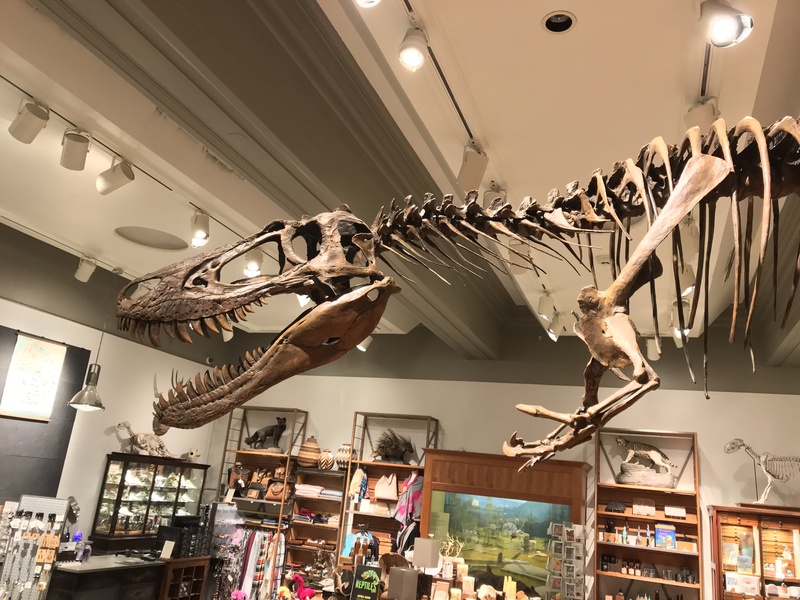 This observation left us wondering what’s known about the relative widths of the forelimb and hindlimb articulations in extant animals. 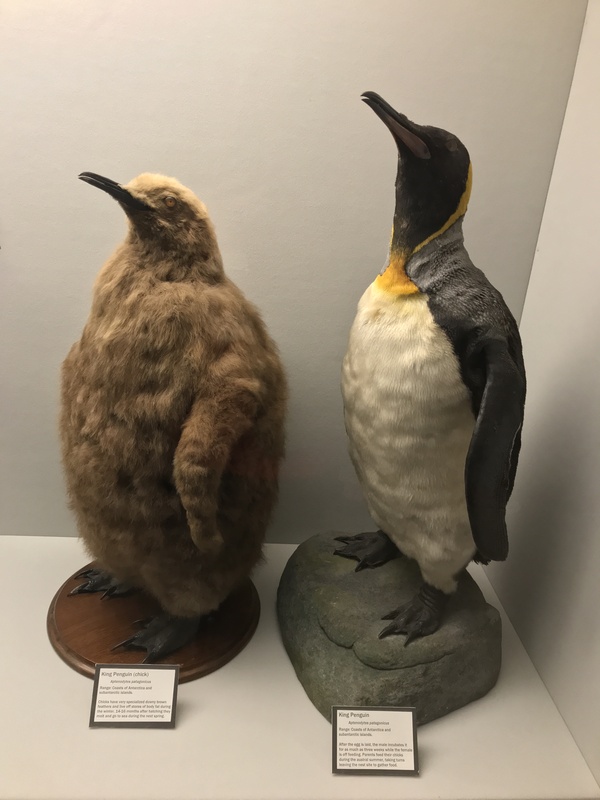 What, from the modern bestiary, has hips broader than its shoulders, and what has shoulders wider than its hips? We have no idea. Does anyone know if this has been studied, or better yet summarised? 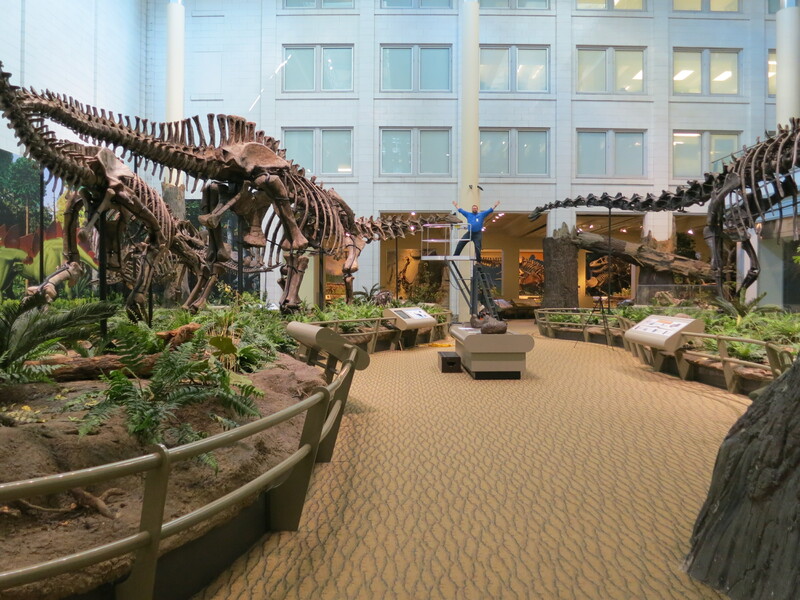 Left to right: Allosaurus fragilis, Apatosaurus louisae, Homo sapiens, Diplodocus carnegii. 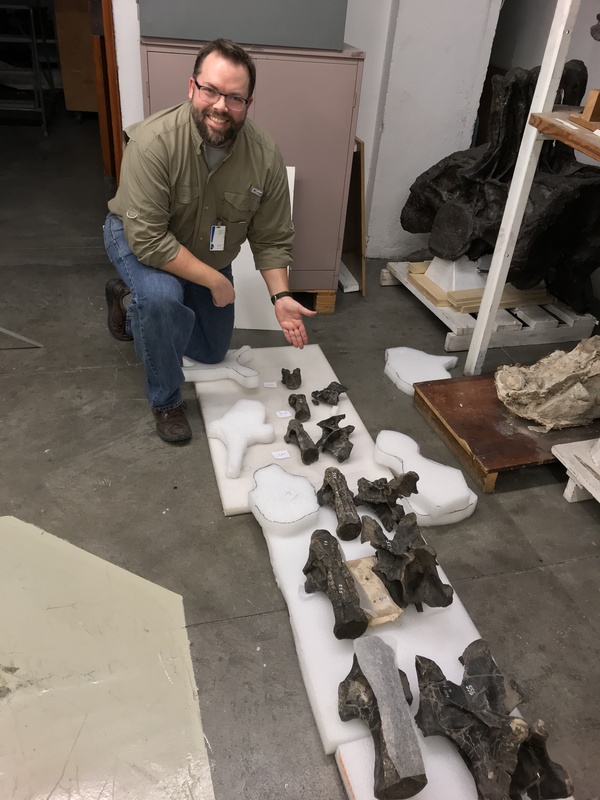 Left: Apatosaurus lousiae holotype CM 2018, cast skull associated with specimen. Right: Matt Wedel. Scientists have long wondered how such a bloated beast could etc. etc. Matt and I have completed Day 2 of our excursion to the Carnegie Musuem in Pittsburgh. Day 1 was spent in the public galleries, because collections aren’t open on Sunday, but today we got into the Big Bone room. 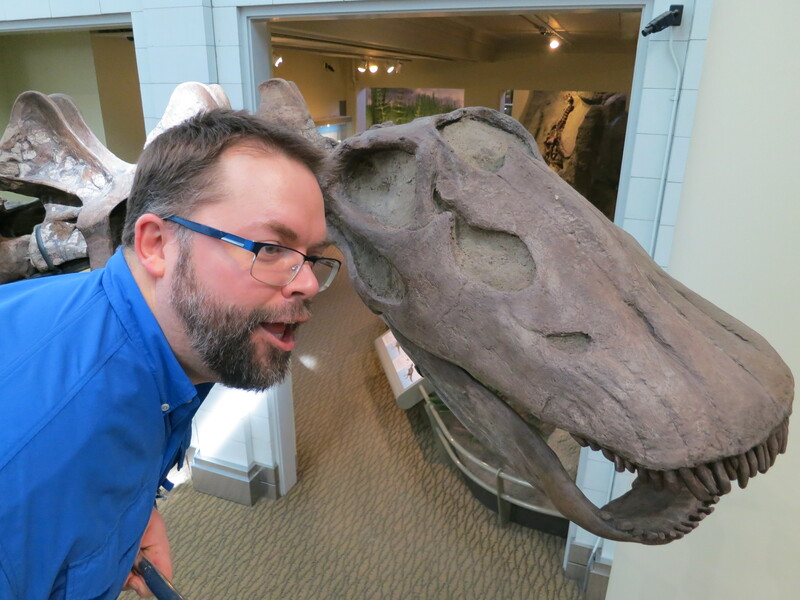 One of our targets was CM 555, a very nice nearly complete neck (C1-C14) from a subadult apatosaurine — quite possibly Brontosaurus excelsus, which is what John McIntosh catalogued it as, though I am not yet 100% convinced it’s the same thing as YPM 1980, the holotype of that species. 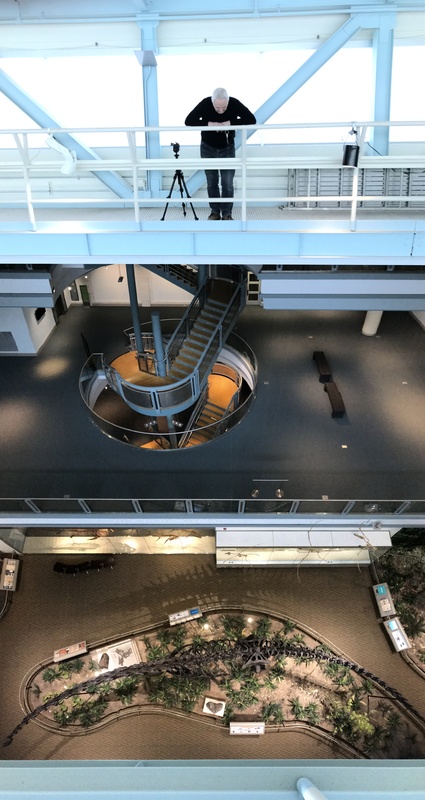 We were able to lay out the full sequence on the floor, on styroforam sheets, and spend quality time just looking at it and thinking about it. I don’t just mean documenting it for later analysis, but making use of that precious time right there with the physical specimen to think through together what it’s telling us. We have a bunch of new insights, which we’ll share when we’re not completely exhausted. Here’s Matt with the first six cervicals. C1 (the atlas) is as usual an unprepossessing lump, but then things get interesting. C2 to C6 are all unfused, so the centra and neural arches are separate. Behind C6, the arches are fused to the centra (though the fusion lines are still apparent in C7 and C8). 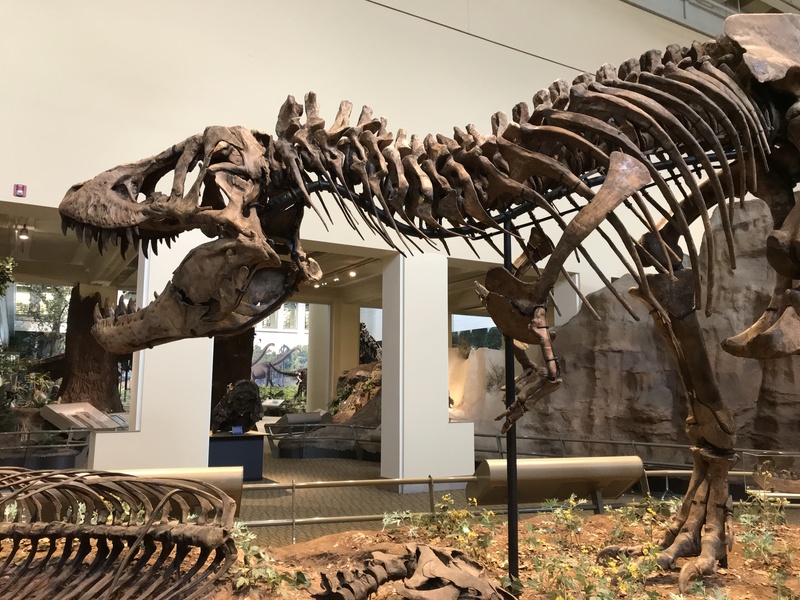 This is a nice example of how, in sauropods, serial position recapitulates ontogeny — one of the great confounding factors when studying isolated vertebrae. We’ve learned a lot already from CM 555. Tomorrow will be spent with the two big mounted diplodocids (Diplodocus carnegii CM 84 and Apatosaurus louisae CM 3018). We’ll let you know how it goes. I predict: awesome. No time for a long post today, but there are a couple of cool developments I wanted to let you know about. The folks at the Barnes & Noble Settlers Ridge store in Pittsburgh got in touch and asked if I’d give a short talk and do a book signing while I’m in town. That will be this coming Sunday, March 10, at 1:00 PM, in the children’s section at that store, which is located at 800 Settlers Ridge Center Drive. 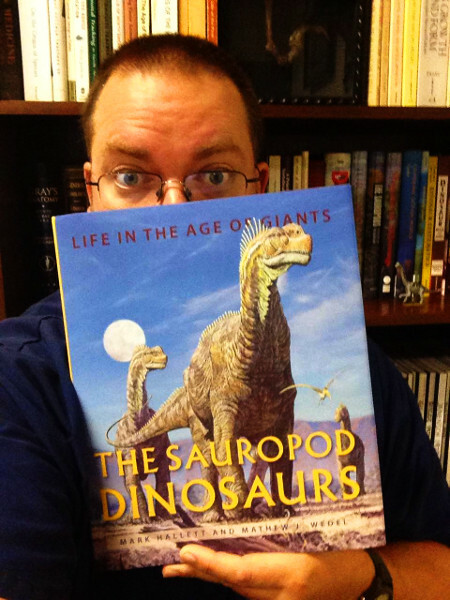 They’ll have copies of my big sauropod book with Mark Hallett, and my kid’s book that came out last fall. Come on out if you’re in the area and interested.